premiere: 5.12.2017 Heimathafen Neukoelln / Ensemble PHØNIX16; Timo Kreuser, cond. A vocal essay on the performativity of the mouth and of the listening of vocal actions by ›reading‹ the face. 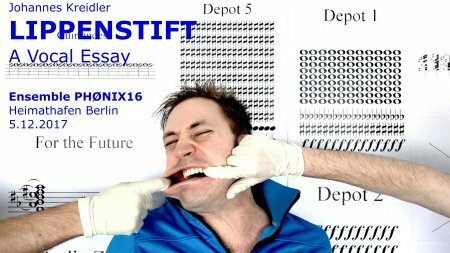 Commission of PHØNIX16 with support of Hauptstadtkulturfonds.